Our nation’s moral compass is spinning out of control, and it will only get worse as we continue to turn away from True North. But despite their concern, 50 percent of everyone surveyed said religion — the source of absolute truth and morality — will be “less important” in 30 years. Forty-three percent said faith will be equally important in 2050 as it is today. A slight majority of white Americans — 56 percent — agree religion will be less important in 30 years, but only 33 percent of blacks and 40 percent of Hispanics feel the same way. These numbers are, unfortunately, not very surprising. Nearly half of millennials today describe themselves as religiously unaffiliated, and that number is only getting bigger. The survey also showed 56 percent of Americans believe faith in God is not necessary to have good values and to be moral. Interestingly, I think that number reveals something quite incredible: God’s general revelation and His imprint on humanity is so strong, we don’t even need to believe in Him to see His impact on the world. The problem, though, is the longer we separate truth — the absolute morality of right and wrong — from the source of all truth, the sooner our moral compass will come apart completely. Matt Walsh, a columnist for The Daily Wire, recently talked about this very issue with commentator Ben Shapiro. Walsh, who is Catholic, suggested it is, in fact, OK to divorce Scripture from conversations about moral truth. But I’m not so sure he’s right about that. Creating that separation in the name of pragmatism is perhaps what led us to where we are now: We live in a country whose citizens are clearly aware of the moral crisis, but are increasingly uninterested in the moral solution, God. It was that old-school way of thinking, cultural Christianity — give me the good stuff but not the Gospel that backs it up — that watered down the faith so much that it has, in many respects, been reduced to a voting bloc. There’s no doubt one can easily make the moral case against abortion sans Scripture. But at some point, the Bible and God will have to come into the discussion, because the underlying truth that every life has dignity is one we cannot separate from the higher power who created us. The question we need to ask ourselves as Christians, then, isn’t if we should bring God and the Bible into debates about morality. Instead, it’s a matter of when. We need to know our audiences, because that will determine if we work backward or forward. To a non-Christian uninterested in accepting the Bible as a legitimate source, work backward by explaining the moral in question from a strictly logical perspective and then introduce faith and the theology that backs it up. 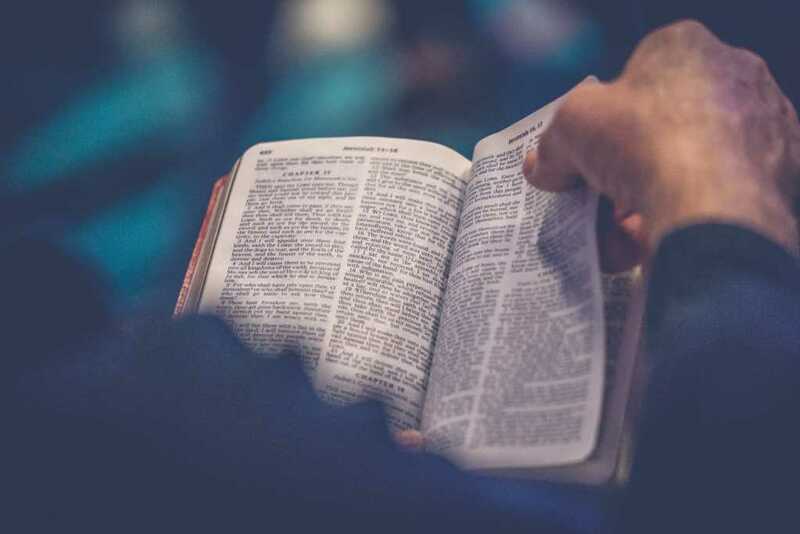 If you’re talking with a Christian or even a faith-curious person open to the value of Scripture, start from the point of our imperfection and God’s general revelation and work forward to explain how that speaks into the moral at hand. If the Gospel is never introduced — even if a pragmatic goal is achieved — what have we gained? That’s not to say we shouldn’t be pragmatic. We absolutely should be, particularly when it’s in the interest of saving human life (i.e., abortion). But we do have to at some point return to “the way, the truth, and the life,” because without that, the compass will soon unwind again. The only way back from the moral precipice is to turn toward True North. Right now, our culture wants it both ways, and that just can’t happen.